Jess asked in a comment on my first post about this if a double yarn over would help open up the bottom hole of the chevron, so I tried it. The answer is yes. 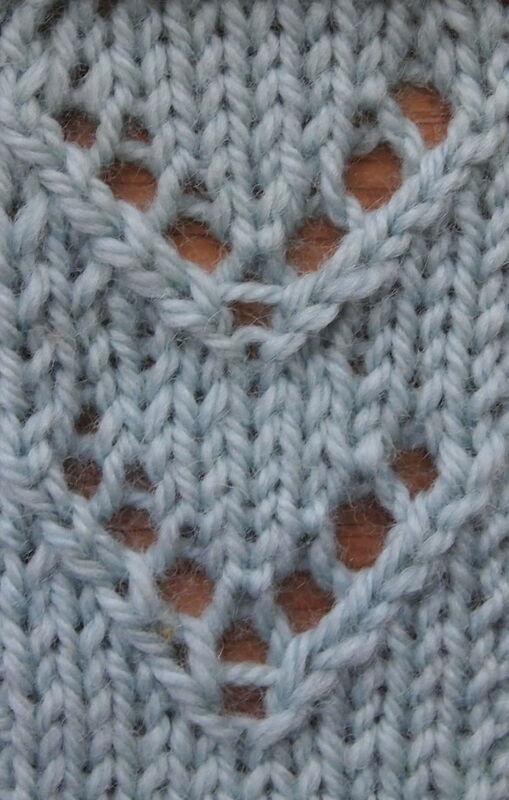 For the bottom chevron, I used a double yarn over in the same place I had previously tried just a single yarn over. On the next row, I worked it once and dropped the extra loop. The top chevron shows what it looks like with just a single yarn over for comparison. I think this is even more of an improvement. Thanks, Jess!